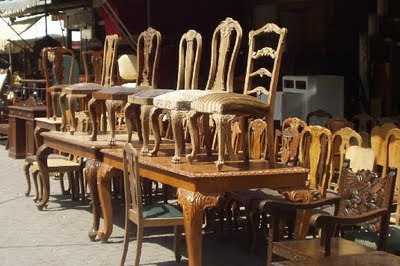 Thanks to Karin for her fascinating picture of Monastiraki Flea Market - Antique Chairs and Tables - http://parosparadise.com/ Image copyright Karin of Paros. Thank you thank you thank you for making this blog ! I. love. it. Great to hear from you, Shannon. Great to hear from you, efsun.